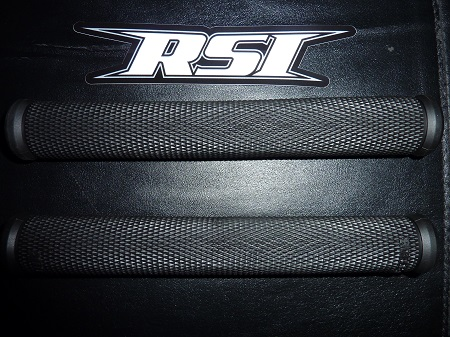 RSI & ODI 7" or 8" handlebar grip kit manufactured by world famous ODI. This grip fits all steel and tapered bar ends with the 7" fitting built-in short and medium j hooks and the 8" fitting all applications and all heated grip applications. grips can be cut to length. Customers have stated they like these better than oem Ski-doo "X" package style grips giving a better feel and tacky diamond gripping surface. Sold per pair in 7"or 8".